Home About UKRO Medical Scientific Advisory Board Núria M. Pastor-Soler, M.D., Ph.D.
Born in the Catalonia region of Spain, Dr. Pastor-Soler traveled to the United States to earn her international baccalaureate at The Armand Hammer United World College in New Mexico, then went on to attain her B.A. in biology and chemistry at Bryn Mawr College in Pennsylvania (receiving full scholarships for both). She earned her M.D. at Jefferson Medical College in Philadelphia and her Ph.D. in biochemistry and molecular biology at Thomas Jefferson University. After an internal medicine residency at MCP-Hahnemann University Hospital (in Philadelphia), she carried out a four-year nephrology fellowship at the Massachusetts General Hospital/Harvard Medical School in Boston, where she went on to serve as an instructor and clinical assistant in medicine. 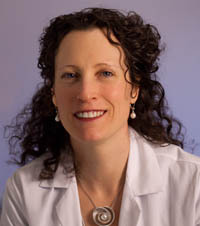 Moving to the University of Pittsburg School of Medicine, she served as an assistant professor in the renal-electrolyte division, an assistant professor in the Center for Research in Reproductive Physiology in the Department of Cell Biology and Physiology, and an associate professor of medicine and cell biology with full tenure. She was also appointed a faculty member at the Center for Critical Care Nephrology. She is board-certified in internal medicine and nephrology. Dr. Pastor-Soler has published extensively in periodicals such as the Journal of Biological Chemistry, the American Journal of Physiology: Renal Physiology, and the Clinical Journal of the American Society of Nephrology. She has served as a research supervisor for postdoctorate and predoctorate trainees and undergraduates, and has mentored students at all levels. She has also lectured widely and led numerous workshops and discussion groups, including a workforce project with University of Pittsburgh nephrology undergraduates whose goal is to establish a kidney disease screening and awareness program for Pittsburgh and surrounding communities. She has been a councilor for Women in Nephrology, a co-chair for the American Society of Nephrology’s Professional Development Seminar, and a vice chair for both the American Heart Association’s Council for the Kidney in Cardiovascular Disease and for the American Physiological Society’s Epithelial Transport Group. She is a member of the American Society for Clinical Investigation. She is currently working on research projects related to grants from the National Institute of Diabetes and Digestive and Kidney Diseases (NIDDK) and from the Wright Foundation of USC, studying the regulation of acid secretion by the kidney. In the past, she has received research grants from NIDDK, the Eunice Kennedy Shriver National Institute of Child Health and Human Development (another one of the National Institutes of Health), the American Heart Association, and the American Society of Nephrology. Dr. Pastor-Soler joined the USC/UKRO Kidney Research Center as a faculty researcher on July 1, 2015, the first of a planned four-member tenure-track team that will staff the KRC. At the Keck School of Medicine of USC, she will also become an Assistant Dean for Research Mentoring. See details of Dr. Pastor-Soler’s KRC research projects on kidney cancer and the role of acid regulation in chronic kidney disease.